My “who do you think you are moment”. 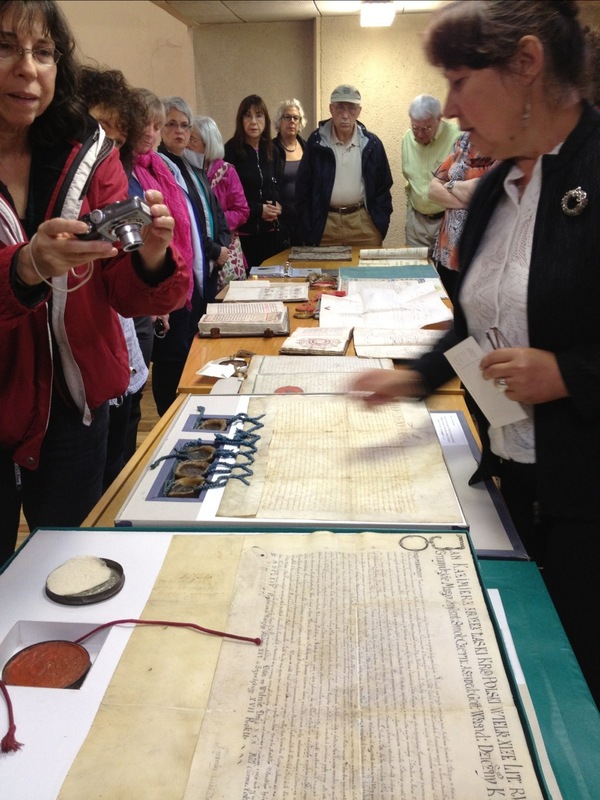 Today we went to the central archives. About 3 months ago I ordered a bunch of archives to be printed out for me. ( I wish I had them translated too) I got 3 records. One written in Hebrew and the other ones in Belarusian. I will try to have someone translate before I leave. 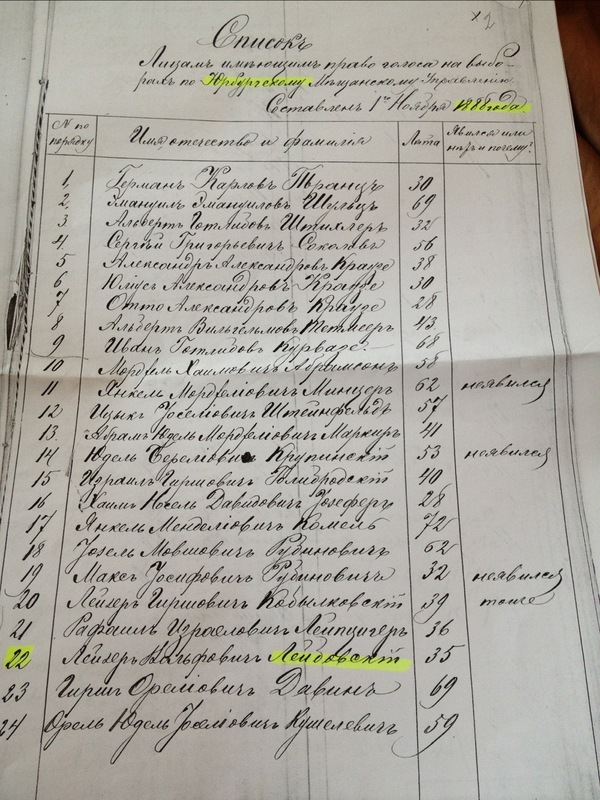 One was of my great-grandfather’s birth written in Hebrew, the next was a voting list of my great-great grandfather with his signature. 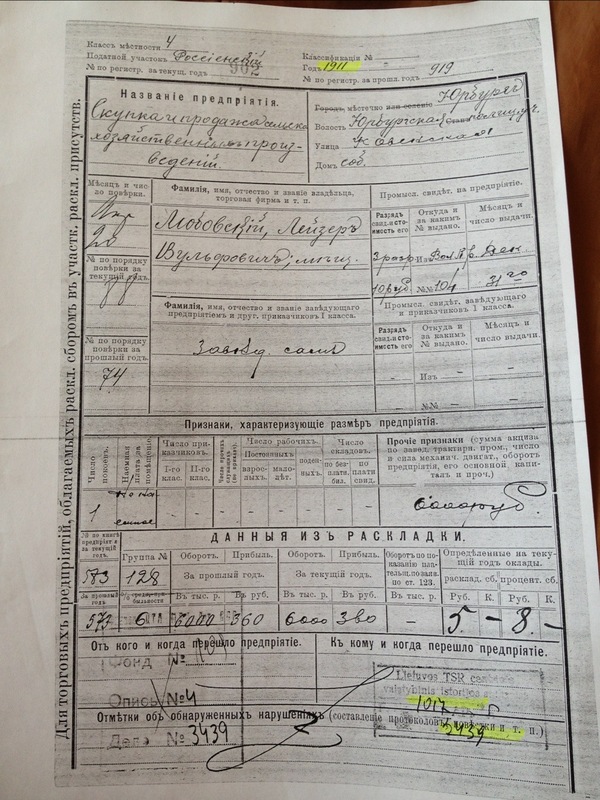 And the third is a business document of this business which was listed as agriculture. We know he had a flax factory. 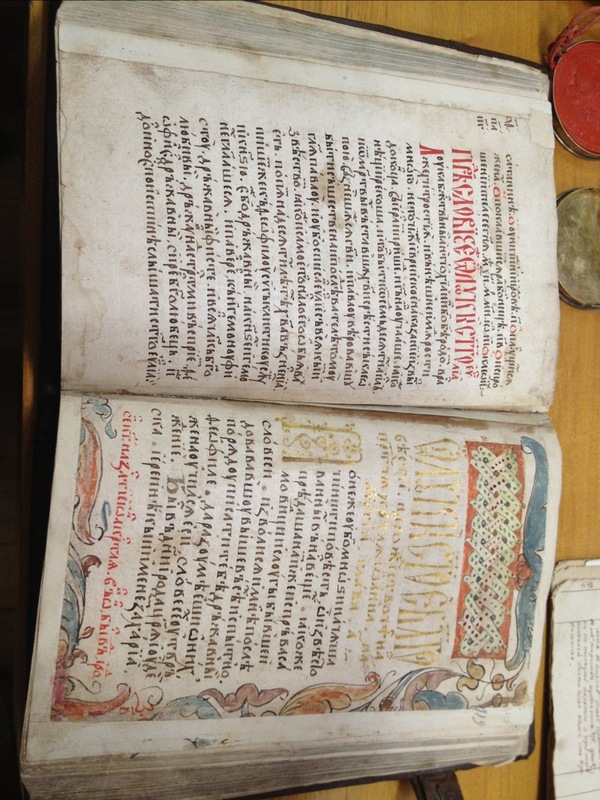 We still have many archives to get in Kaunas but this was rather cool. 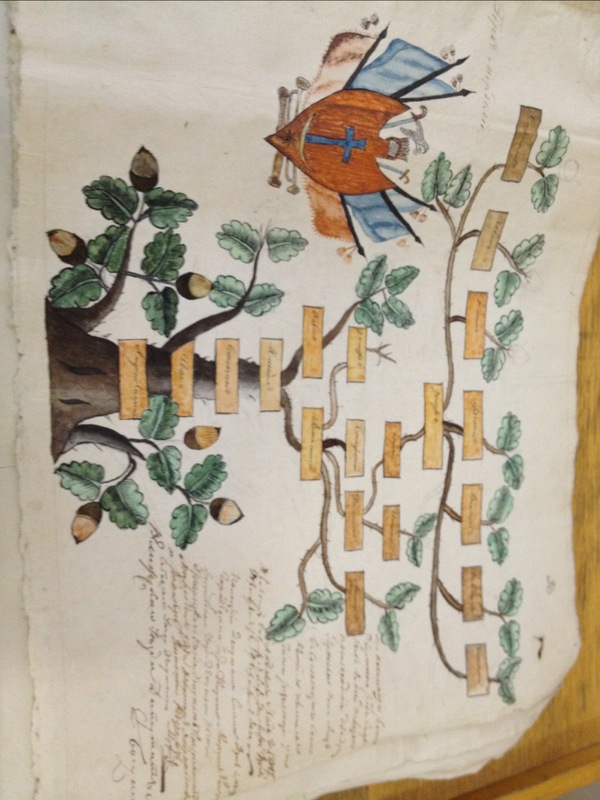 We also saw original books, seals, and elaborate royal family trees. 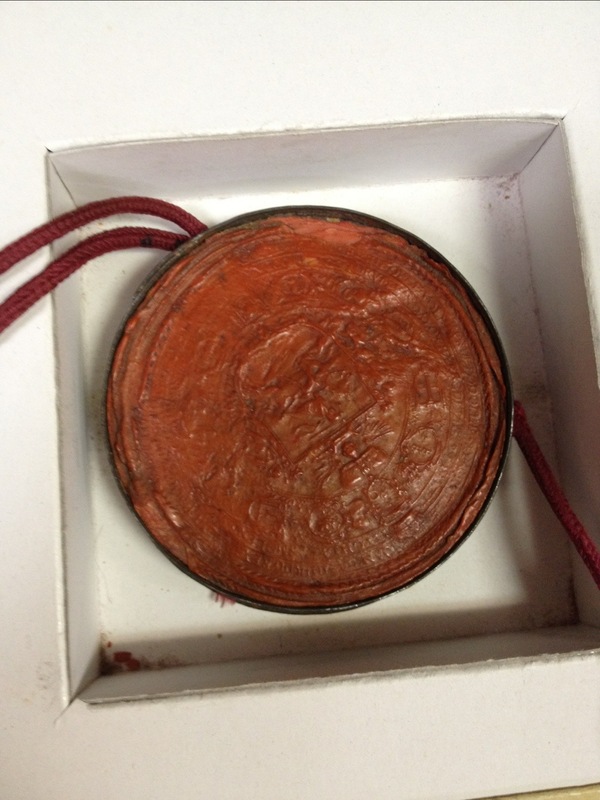 Original seals of the Grand Duke of Lithuania and hand written 15th century bibles. 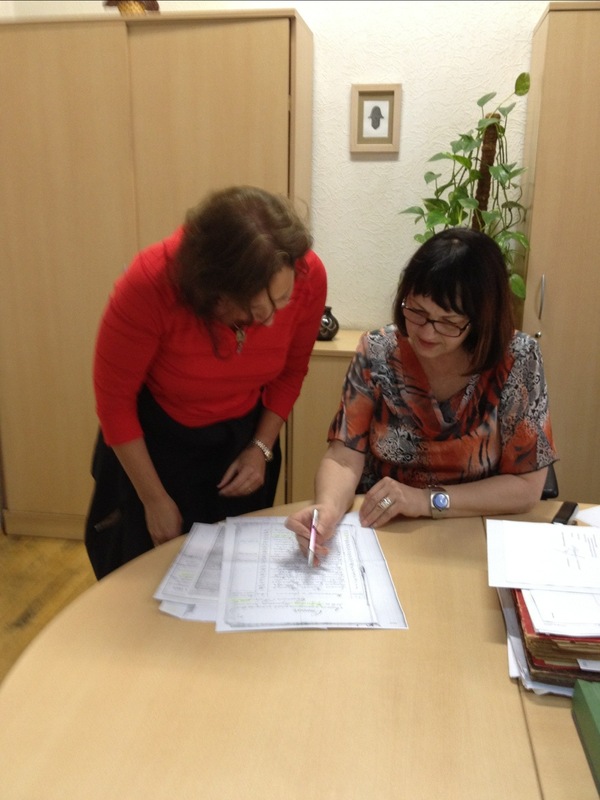 When we go on our roots tour to rural Lithuania I hope to see the factory in Jurbarkas. Really hard to read. Wouldn’t mind getting a higher resolution picture to see if I can make out anything. I presume it is Yiddish, not Hebrew, no? As of now I can’t make out enough to tell. 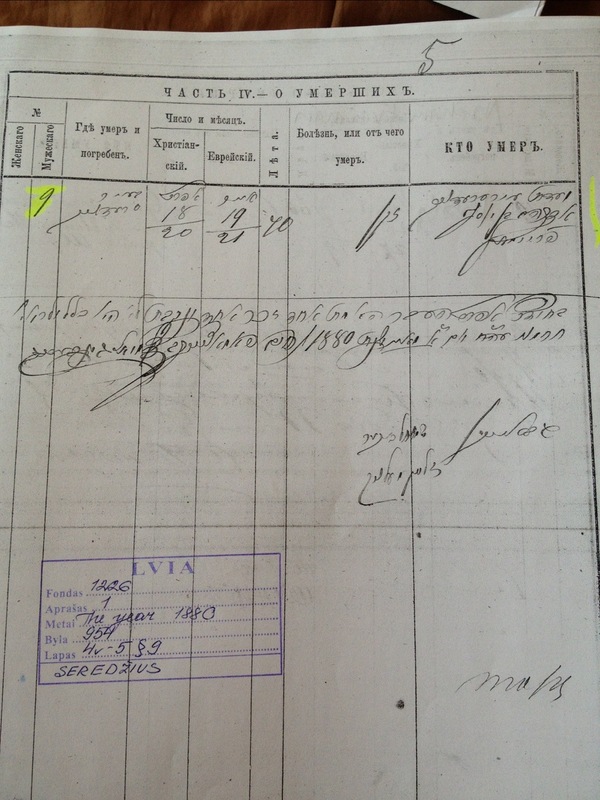 Tom, I have the documents I will scan them when I get home I will be getting more on Tuesday when we are in Kaunas. arlene and i just read your email and its wonderful how you are documenting everything. i am on her computer and we are having a wonderful visit. i can’t wait to open up another computer when i get to my mothers to catch up with your daily adventures. love from the both of us. email is agmerv1@gmail.com. If this is too difficult Paula will forward them to me.